The editors of The Verdict Reporter provide reliable reports on the latest civil verdicts and settlements throughout Massachusetts, Connecticut and Rhode Island. 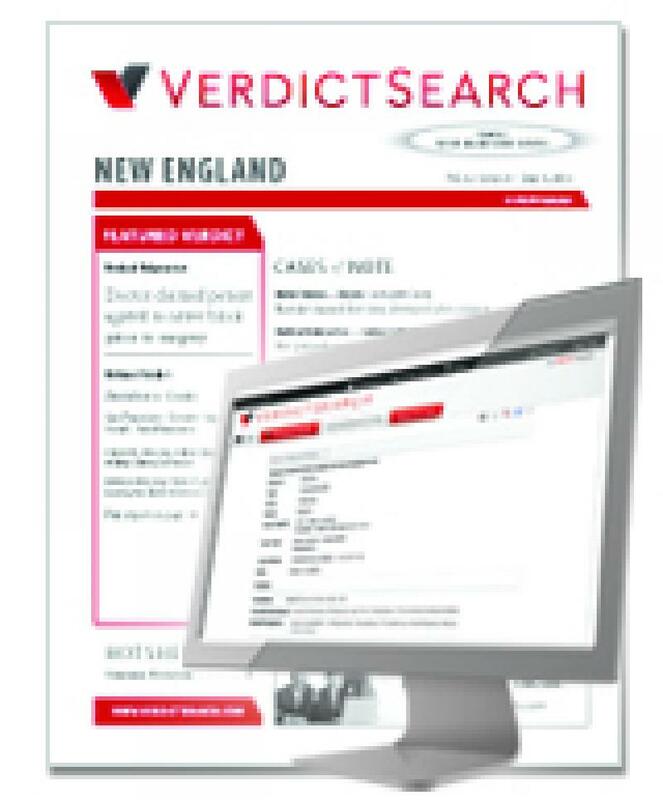 The VerdictSearch New England online database is a trusted, time-saving resource that helps Connecticut, Massachusetts and Rhode Island attorneys try cases and negotiate settlements from a position of strength with unlimited access to thousands of verdicts and settlements. 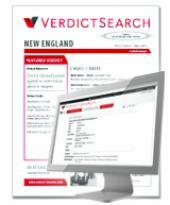 The VerdictSearch New England monthly print newsletter, complimentary with an online subscription, features exclusive information on 30 to 40 new cases indexed for quick access to expert witnesses, injuries, attorneys, defendants, jurisdiction, and judges.